Mara and Llew joined Marais Project director Jenny Eriksson and the group for the launch of the latest CD at a concert at the Independent Theatre Saturday August 24 at 7.30 pm. Produced by Llew, the CD features a wide variety of ancient and modern repertoire arranged for the Marais Project. 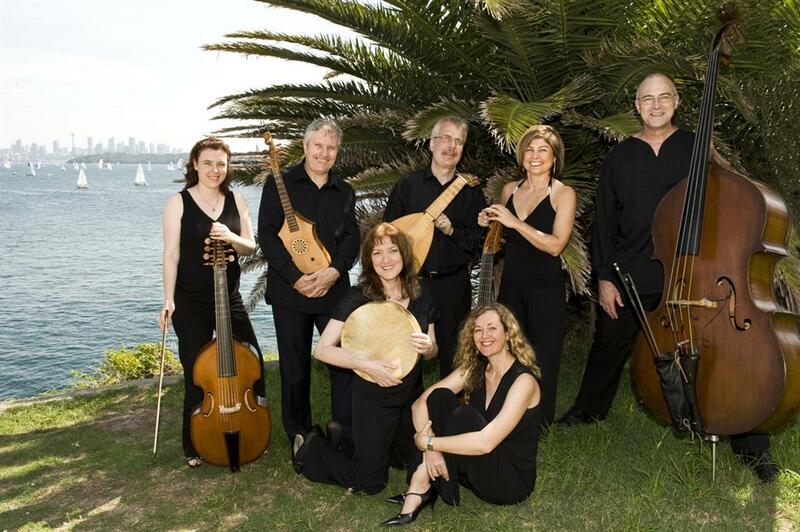 Instruments include viol consort, baroque guitar, theorbo, baroque violin, harp, percussion, gittern and renaissance lute. Mara and Llew performed in trio with Jenny on "Bryd one Brere" and Mara's lively adaptation of the song as "Bryd Bouree" which follows "Bryd one Brere" on the album. Mara also sings on the CD finale - a baroque version of "Chattanooga Choo Choo" which features the vocal trio of Mara, Lindy Montgomery and Narelle Evans. The CD was launched by ABC Classic FM's Christopher Lawrence, and the concert event was directed by Christine Douglas.